We were over the moon to receive a call from the esteemed Women of the Year organisation. This organisation exists to highlight the many achievements of women throughout the world, across many different fields and from all sorts of backgrounds. Mary Krauss , administrator of the event, explained that she had a need for 500 bespoke lapel pins to be worn by all the attendees at the forthcoming Annual Women of the Year Lunch, the 60th year that this impressive event has taken place. They had made some investigations into the market and decided upon Roman Tavast as the preferred supplier for these particularly high quality lapel pins, she was after something a bit special for the occasion. Each year, over 450 women from all walks of life gather for this very prestigious event , bringing together amazing women from all over the world , from all walks of life and regions, a global celebration of female achievement and to give recognition of unsung heroines. Every attendee of this annual event is considered a Women of the Year in their own right. 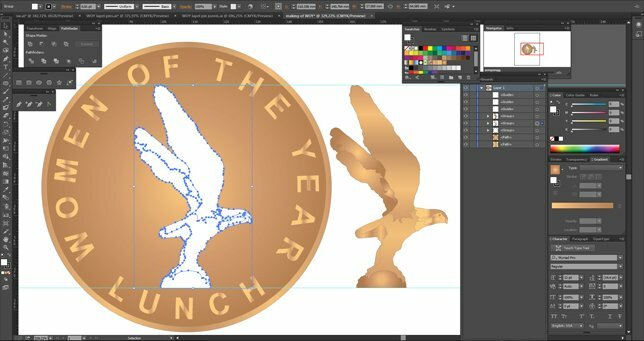 A select few join an elite group to collect the TheFrink Bronze Eagle, an award made to recognise exceptional achievement. This award was sculpted and donated by Dame Elisabeth Frink RA, (1933 – 1993) one of Britain’s leading and foremost celebrated artists, being a Dame of the British Empire and awarded with a CBE in 1962. It was this Eagle that was to be the basis of our lapel pin design. 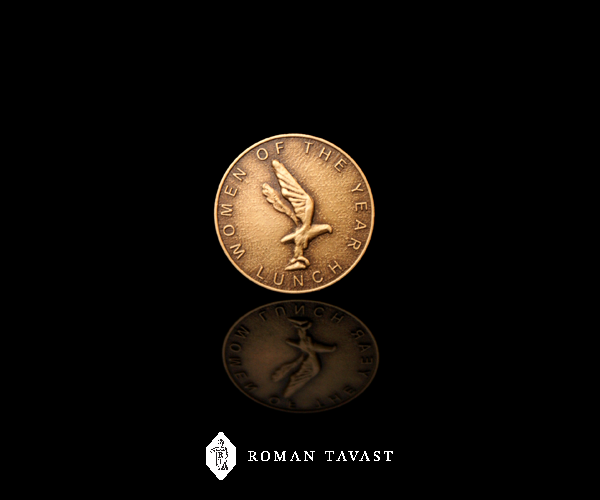 At the time of the initial contact no design had been decided upon for their lapel pins, but it had to incorporate their logo, The Frink Bronze Eagle. They requested our input and the designers at Roman Tavast eagerly set about their task. We had to have a confirmed decision within 5 days as the required delivery date was fast approaching. 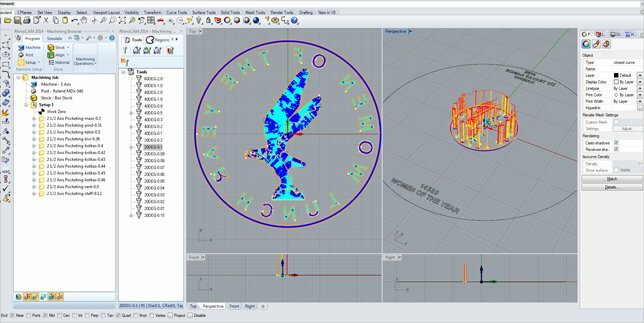 After much consideration the design team decided that a sculpted 3D lapel pin would be the most appropriate, the eagle being raised to increase visibility, on a circular lapel pin. When submitted to them, Mary consulted with her colleagues and came to the same conclusion, it was a green light for the design, all systems go. The next matter to be addressed was how would the lapel pins be presented? As it was such a special occasion, we needed them to be presented in a suitable gift box. It was felt that a transparent lid would be most appropriate as it shows off the pin without having to take it out of the box. 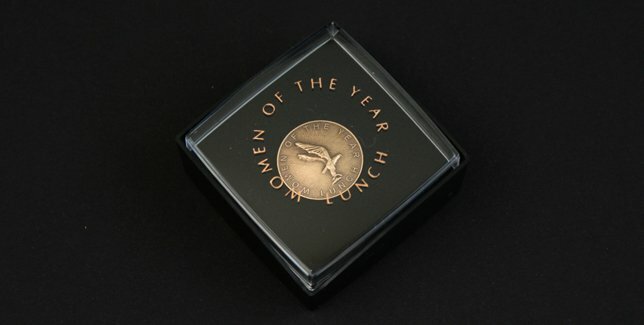 Woman of the Year lunch was also printed on the lid, in a circular fashion, with the lapel pin sitting beautifully in the inset, the text acting as a frame to the pin, perfect! 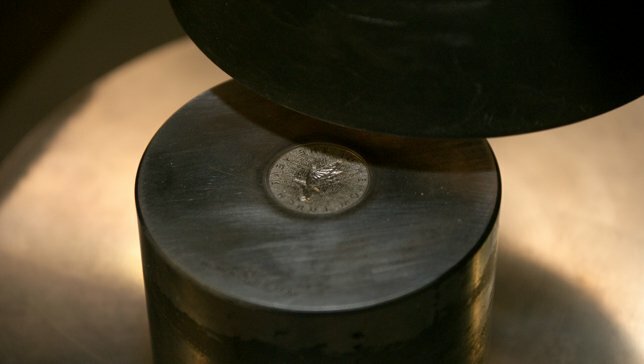 The lapel pins were authorised for production just over 4 weeks prior to the delivery date, which is no problem assuming no unforseen issues pop up and they did not, everything went smoothly and delivery was made in good time. They were very happy with the quality of the lapel pins and the event was a joyous occasion for all in attendance. We needed some high quality lapel pins to present to attendees at the 60th celebrations of the Women of the Year Lunch. 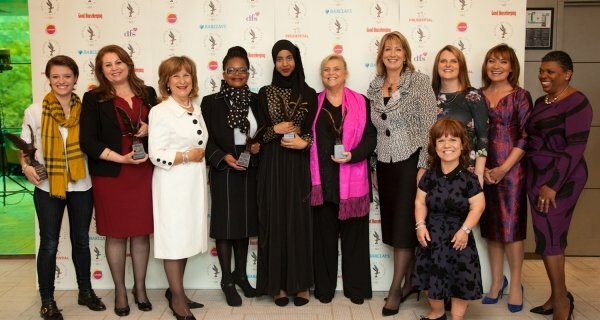 Each year, over 450 women from all walks of life gather for this very prestigious occasion – bringing together amazing women from across the United Kingdom and the wider world – from African farmers to writers, from stars of stage and screen to founders of charities, sporting heroes, politicians, nurses and scientists, community workers and the unsung heroines. After some research we chose Roman Tavast and the whole procedure was absolutely effortless, from initial design right through to delivery. The most intense period was in the early design stage but we were guided through this by their design team who took into account what we were looking for and gave us several options. We also had a time restraint but we were given priority in their production run which meant that we had our delivery in good time for the event and the pins were of excellent quality and well presented. Thank you Roman Tavast! December 12, 2014 September 5, 2016 Roman Tavast LtdComments are off for this post.